Gifts are usually given to be in memories of the taker for long time and if your gift given on the occasion of someone’s wedding is unique, meaningful and personalized then its worth increases many times for the receiver of that gift. But selecting unique and personalized gifts is not an easy job even if a number of gift registries are available online or offline gift stores to help you in this respect. 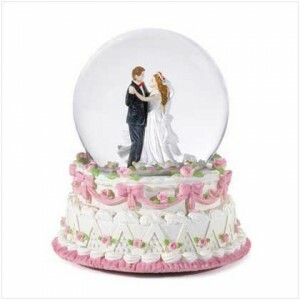 Information about some of such wedding gifts is provided in this article for your guidance. Free Dinners cards: Arranging few prepaid Dinners cards from the eat-out spots where the couple would like to visit can be one of the most welcomed wedding gift for the newly wed couple as it will let them enjoy eating out in an romantic environment for some days. Photo frame: Gifting a photo frame with a really gorgeous photo of the newly wed couple can also be admired by them as well as you as it may not affect your pocket heavily. Set of chopsticks: If your friend loves to eat sushi then a personalized set of sushi and chopsticks will remain in his memory for long time. You will be reminded to him whenever he will use it. A Brain nourishing gift: A long subscription of some favorite books and magazines to your newly wed couple can be a brain nourishing gift for them which will keep you fresh their memory for long. A bottle of champagne: A bottle of champagne will certainly be a cheerful gift for the couple at theses celebrating moments of their life. iBook- a gift of modern age: Several online sites have made it easy to gift your newly wed couples with several iBooks that can help them throughout their married life. Donate on behalf of the newly wed couple: If the newly wed couple in interested in some supporting some communal causes like cancer research establishments, charitable trusts, or hospitals then donating on their behalf can be a good and surprising gift for them which will keep you in their memories whole life. Engraved flutes: Engraving the flutes can make your wedding gift more personalize and classy for the newly wed couple. Gift cards of some tours and events: You can also gift the cards and certificates issued by several companies that host several types of tours and events which a newly wed couple would like to enjoy in their initial days which will remain in their memories life long. Stocked Liquor Cabinet: A liquor cabinet stocked with the favorite liquors of the couple can be a good wedding gift which can be given by a group of friends. It can be arranged in various designs like a basket containing all type of liquor bottles wrapped and ribboned elegantly to make it a fabulous wedding gift. Thus, you can find several other unique and personalized wedding gifts if you visit to a gift store like Wozzeck at London Coliseum Boxoffice that has a vast variety for you to choose.